The Masjid-I Jahan Numa (World Reflecting Mosque) in Delhi, India, is more commonly known as the Jama Masjid (Congregational Mosque). Jama refers to the large congregation at noon on Fridays that offer prayers (the Jummah prayers) at the mosque. 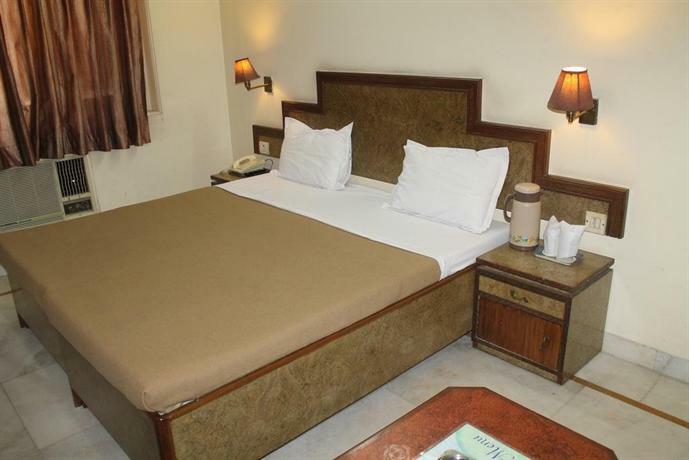 Located opposite the Red Fort, it is at the beginning of the busy Chawri Bazar Road in Old Delhi. Built by Shah Jahan, the fifth Moghul Emperor of India, and also the greatest builder of them all, around 25,000 people can offer prayers at a time in its vast, paved, rectangular courtyard. The Jama Masjid is the largest and the most famous mosque in India. The compound also houses the tomb of Sultan Ahmed Shah, and several relics are enclosed in a closet in the North Gate. The construction of Jama Masjid started on October 19, 1650 AD, when Emperor Shah Jahan laid the foundation stone for the mosque on Bho Jhala , a large hill in Shahjahanabad. Some of the best architects and engineers in India and other parts of Asia, supervised a work force of 6,000 chiselers, calligraphers, and other artisans, till the construction of the mosque was completed six years later. 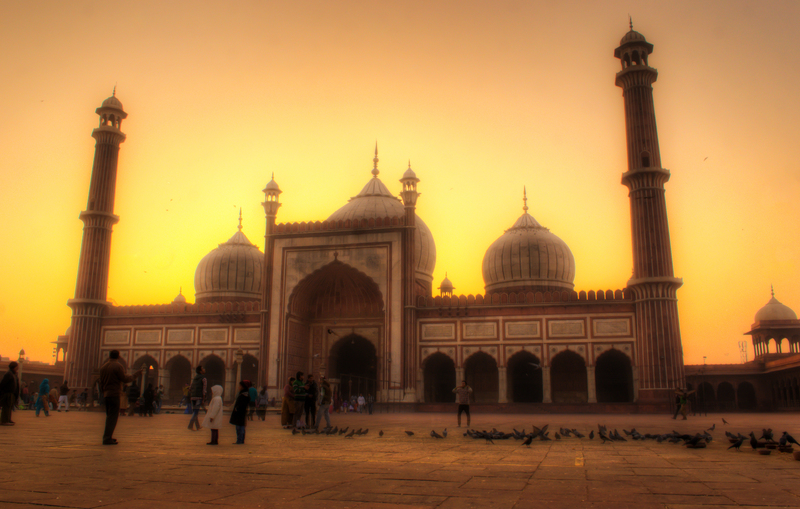 When the Jama Masjid was finally completed in 1656, it had cost the Emperor the sum of one million Indian rupees. The contribution of construction materials and precious stones and artisans, by many Nawabs and nobles, are not accounted for in this estimate. A great lover of architecture, Shah Jahan also built the Red Fort at Delhi, the Taj Mahal at Agra, the Moti Masjid at the Lahore Fort (now in Pakistan), the Jami Masjid at Ajmer in Rajasthan, and many other buildings of note besides the 99 Moghul Gardens in Kashmir. His reign is regarded as the ‘Golden Period’ of Moghul architecture. 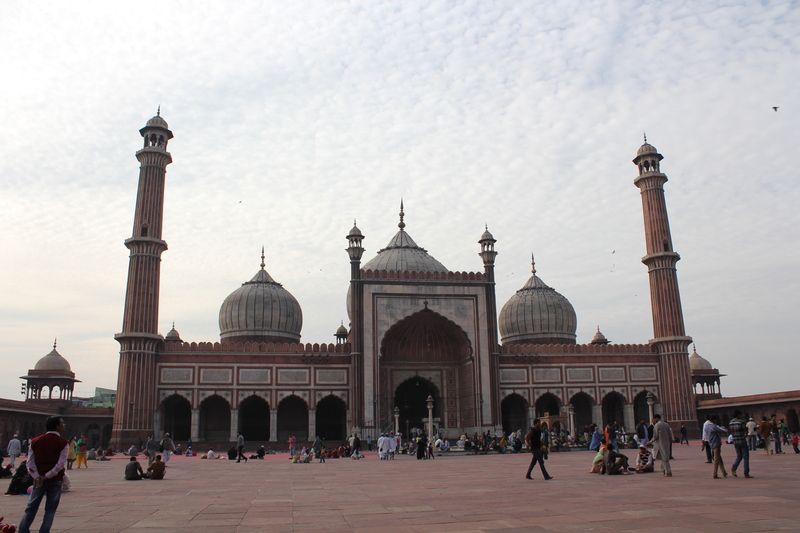 The Jama Masjid is impressive in regards to the simplicity of its construction as it is quite imposing in its size. It has three great gates and four towers. The vast rectangular courtyard of the mosque is paved, and is 246 feet by 217 feet. A flight of steps lead up to the courtyard built with red sandstone, and raised 33 feet above the ground level. In the center of the courtyard is a tank, constructed with marble, in which the faithful wash before offering prayers. 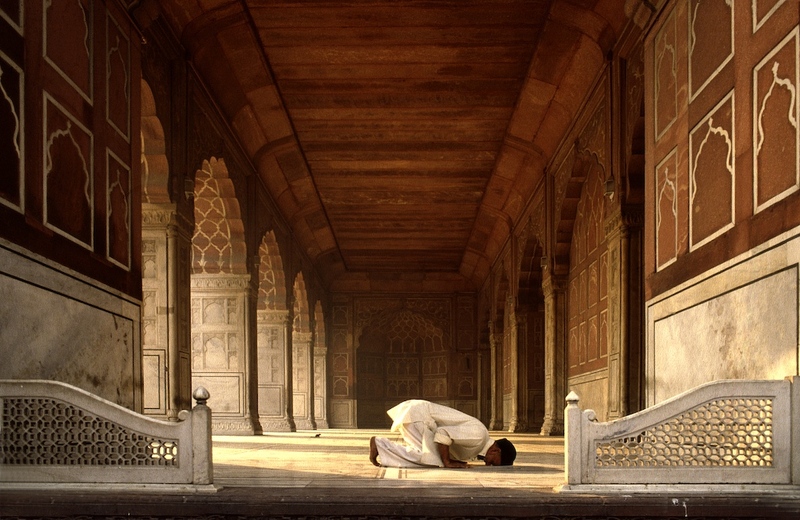 The mosque itself is 262 feet long and 89 feet wide, and is 5 feet above the level of the courtyard. On either side of the façade of the mosque are two minarets, each 131 feet high with five stories. The minarets are constructed in strips of white marble and red sandstone, and are divided into three equal parts by two galleries around them. The top galleries of both the towers, and the minarets, are covered with chatris (umbrella shaped top) mounted with ornate guldastas . 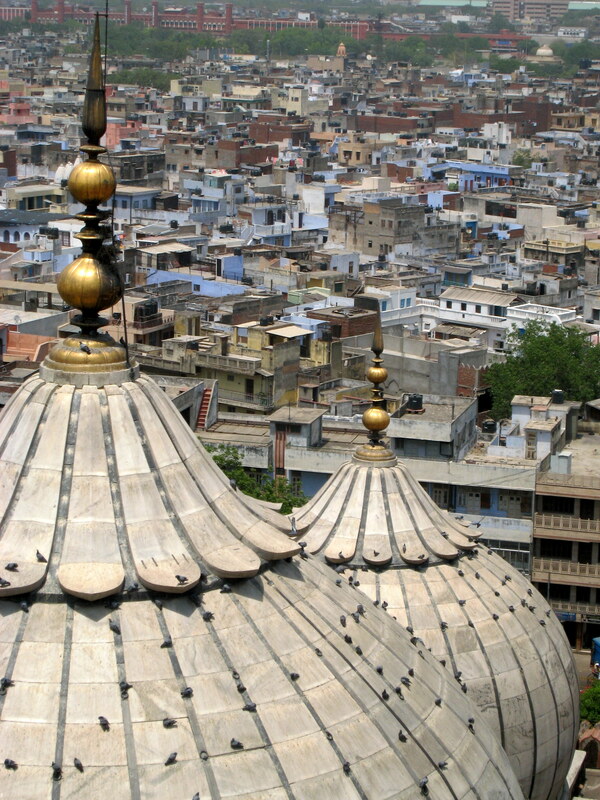 Because of their elevation, the minarets provide a panoramic view of the city of Delhi. The Eastern Gate is the main gate facing the Red Fort, and is believed to have been used by the Emperors and the noblemen. The gate remains closed for most days of the week. It leads to the central chamber as well as another structure, which is a mausoleum. The mausoleum houses the tombs of Sultan Ahmed Shah, his son Mohammed Shah II, and his grandson, Qutub-Ud-Din Ahmed Shah II. 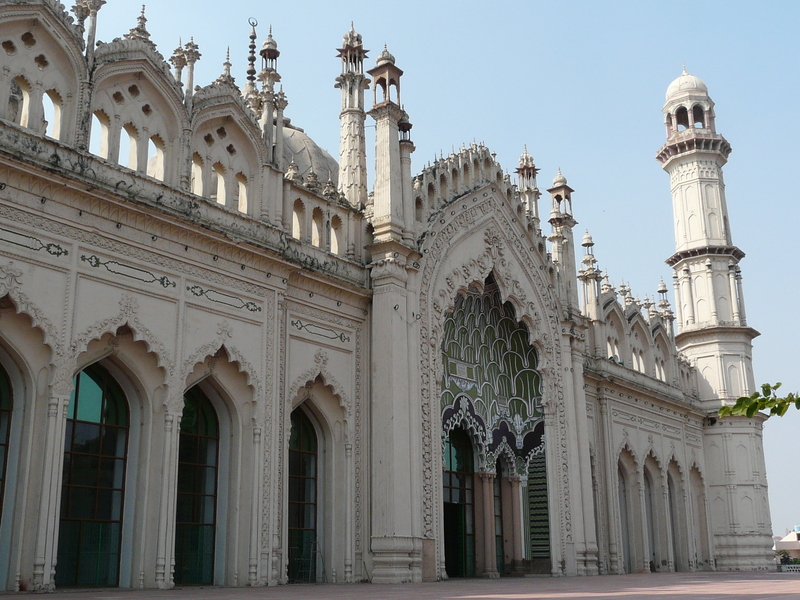 A century later, Farhatul Maluk, a nobleman took it upon himself to renovate the mausoleum and engrave the walls of the Jama Masjid. Of the two other gates on the North and the South, the North Gate has relics like a Qur’anic chapter written on goat skin, strands of the red beard of the Prophet Mohammed, his sandals and an imprint of his foot on a marble block. The wide steps of all the gates are used to accommodate shops, street entertainers, and food stalls. The western chamber is a big hall standing on 260 pillars carved in the traditional Hindu and Jain architectural styles. 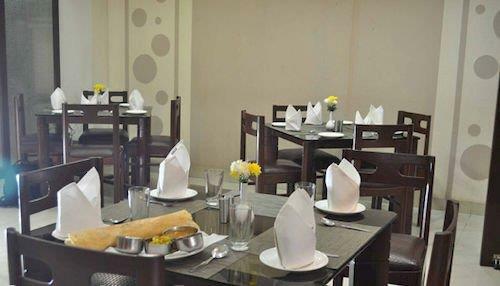 These pillars support 15 onion shaped domes at various elevations and topped with guldastas. The roof of the hall is made of high cusped and has three domes above it. 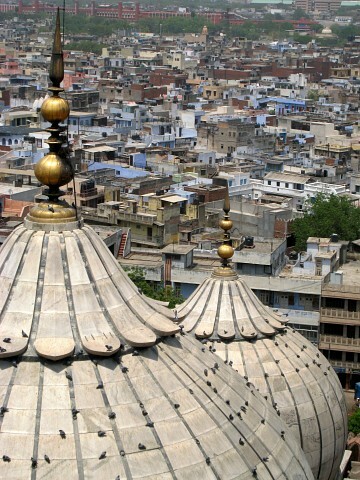 These onion shaped domes are built with stripes of black and white marble and the topmost part is covered with gold. The prayer hall is 200 feet by 89 feet. The central entrance to the hall is a huge arched doorway resembling a gate. On each side of it are three smaller entrances of the same design. Mounted above the arches of these doorways are tablets of white marble inscribed with scriptures from the Qur’an. 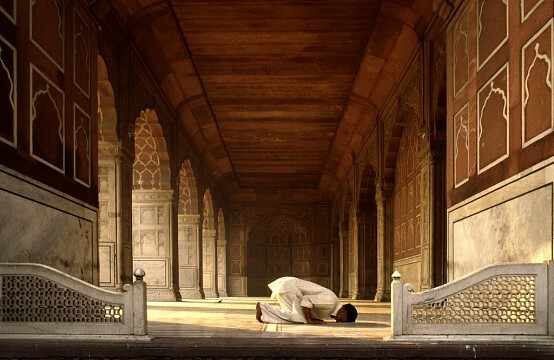 The floor of the mosque is finished with white and black marble in designs resembling Muslim prayer mats. Each of the 899 such spaces for worshipers are demarcated by thin strips of marble. Special care was taken to ensure that the elevation of the pulpit of the Jama Masjid was higher than that of the Peacock Throne occupied by Emperor Shah Jahan. In his quest to find a qualified and dignified person to serve as the Imam (leader of the congregation in prayers and provider of religious guidance) of Jama Masjid, Emperor Shah Jahan zeroed in on Bhukara in Uzbekistan, then a center of trade, scholarship, culture, and Islamic religion. With the help of the Shah of Bukara, the Emperor settled on Syed Abdul Ghafoor Shah Bukari to be the first Imam of the Jama Masjid. Welcomed with due ceremony, Syed Abdul Ghafoor Shah Bukari led the prayers at the Jama Masjid on the occasion of Id-ul-Fitr on 24 July 1656, in the presence of Emperor Shah Jahan and his retinue of ministers, courtiers, and the people of Shahjahanabad. The Emperor, thereafter, conferred the title of Shahi Imam on the Imam of Jama Masjid. Ever since, the son of an Imam has succeeded him. The coronation ceremonies of all the Moghul Emperors after Shah Jahan were performed by the Shahi Imam of the Jama Masjid. Aurangzeb was the first Emperor, whose coronation took place at the hands of Shahi Imam Syed Abdul Ghafoor Shah Bukari on 15 May, 165. The last Moghul Emperor to be coronated was Emperor Bahadur Shah Jafar at the hands of Shahi Imam Mir Ahmed Ali Shah Bukhari. 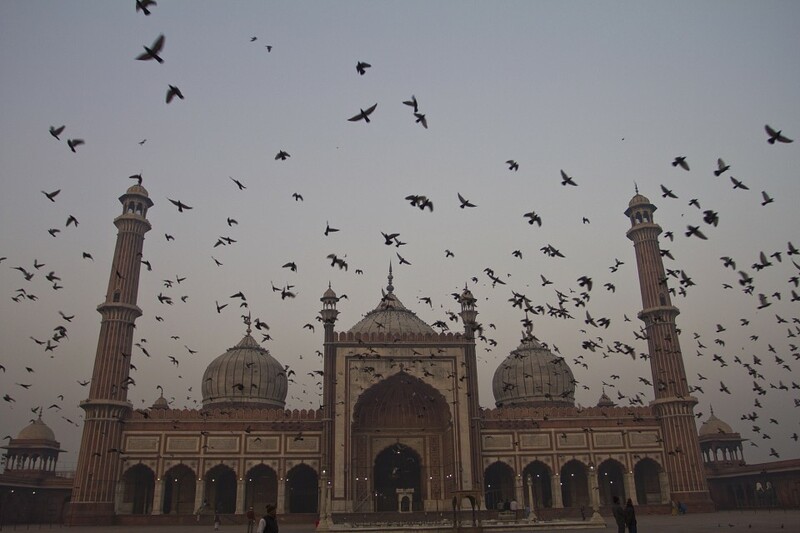 The Jama Masjid is open to visitors every day of the week from 7 AM to noon and from 1:30 PM to 6:30 PM. Entry to the mosque is free, but those who want to take photographs have to pay a fee of ₨ 200 ($3.20). 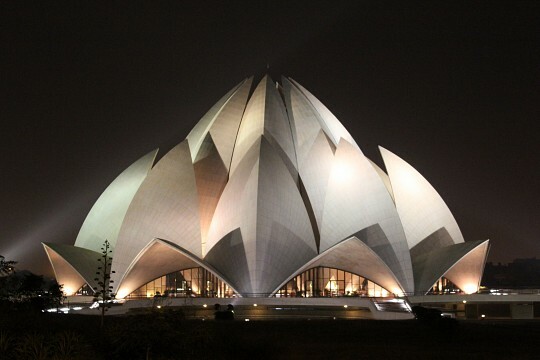 Delhi, the capital city of India, with an international and a domestic airport is well connected by air, internationally, and to the important cities in India. 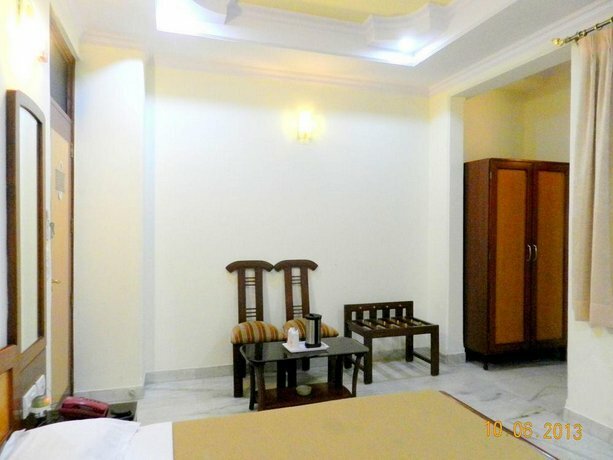 Steeped in history, the city is also a treat for sight seers with the India Gate, the Rashtrapathi Bhawan (Presidential Palace), the Red Fort, the Qutub Minar, Humayun’s Tomb, Chandini Chowk (Moonlight Market) the Lotus Temple, Akshardham, and the Purana Quila (Old Fort). Agra, with the Taj Mahal, built by Shah Jahan, is just over 124 miles from Delhi. 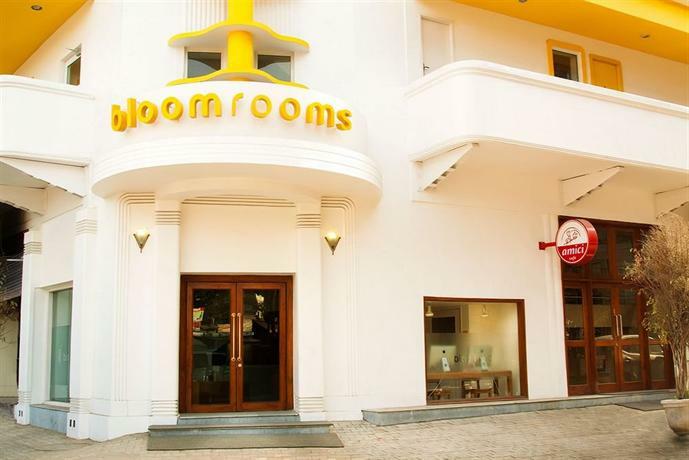 Chandigarh, Jaipur, and Gwalior are all cities with interesting land marks and are easily reachable from Delhi. 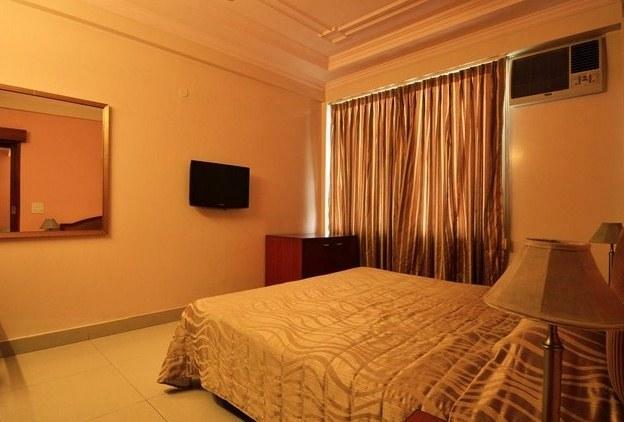 The city abounds in hotels and accommodation is available to suit all budgets.